I used my sherlockian power again! This time not to identify, locate and defeat a sunflower thief, but rather to identify a mystery flower. 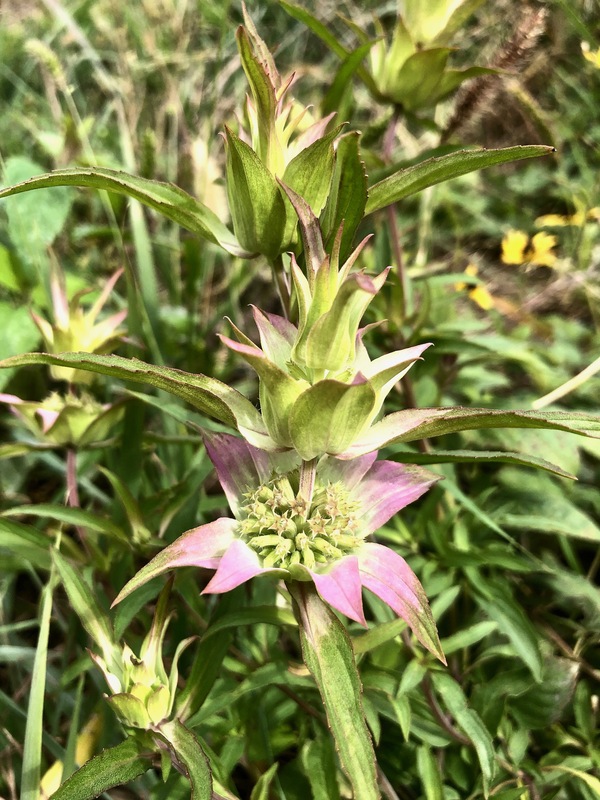 Last year we came upon this strange flower in the park and we were unable find out which genus or species it belong to and I was quite flustered by that. 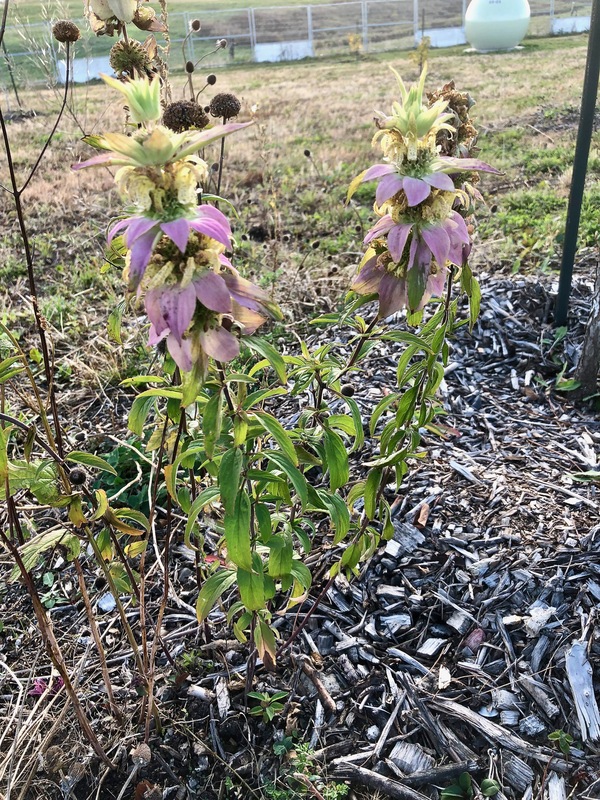 Last year, the plant we found was more developed and mature. This year, it is a little earlier in the fall, so it is at a younger stage of its development. 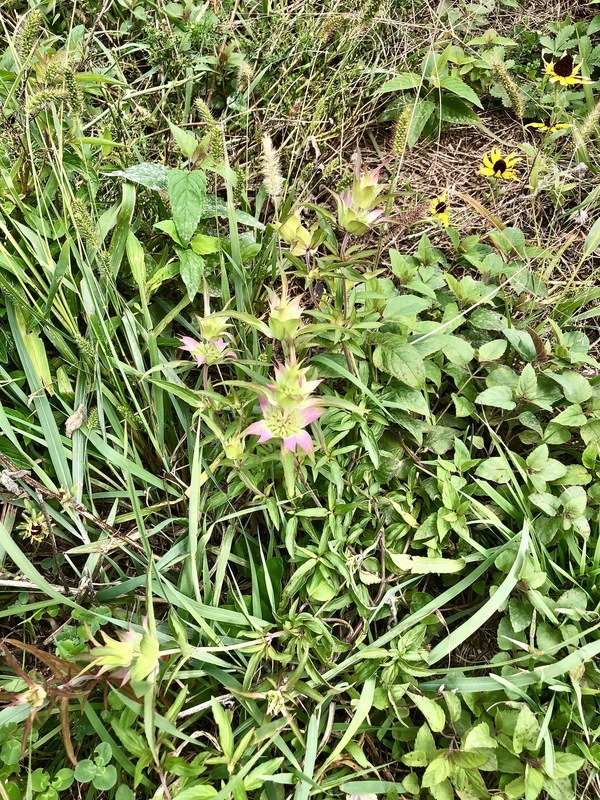 However, it is clearly the same plant, with several stages of flower on top of each other, tubular flowers (undeveloped this year) and long lance-like reddish leaves. Today, thanks to the Reader’s Digest A-Z Encyclopedia of Garden Plants (I tried before with various other books like Daigle’s Les fleurs Sauvages du Québec or Parent’s Fleurs des champs du Québec et des Maritimes, without success), I was able to find enough clues to establish that the mystery plant that eluded identification for nearly a year was… the Monarda Punctata, also known as the spotted beebalm or horsemint. 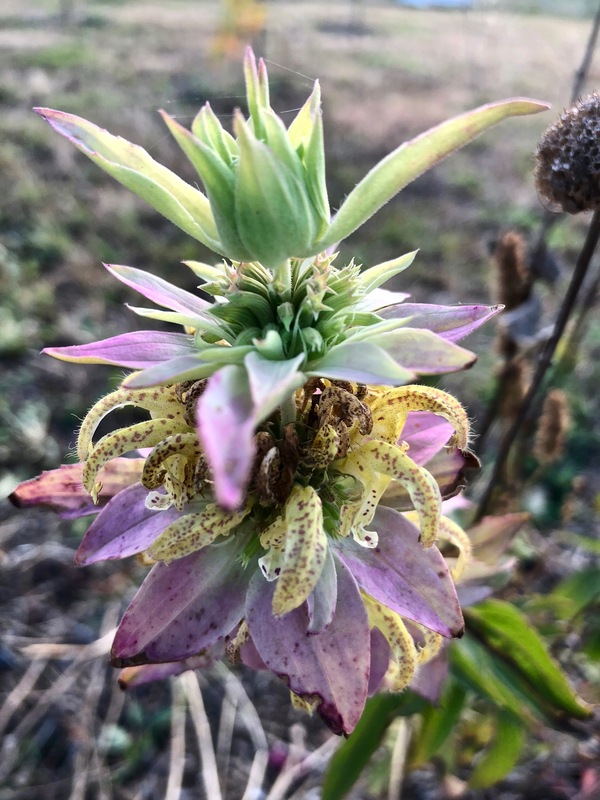 It is from the family of the Lamiaceae (to which many herbs like mint belong) and it seems that at least one of its sub-species (Monarda punctata var. villicaulis / Monarde ponctuée à tige velue) is pretty rare in Quebec (see also this study, in French). 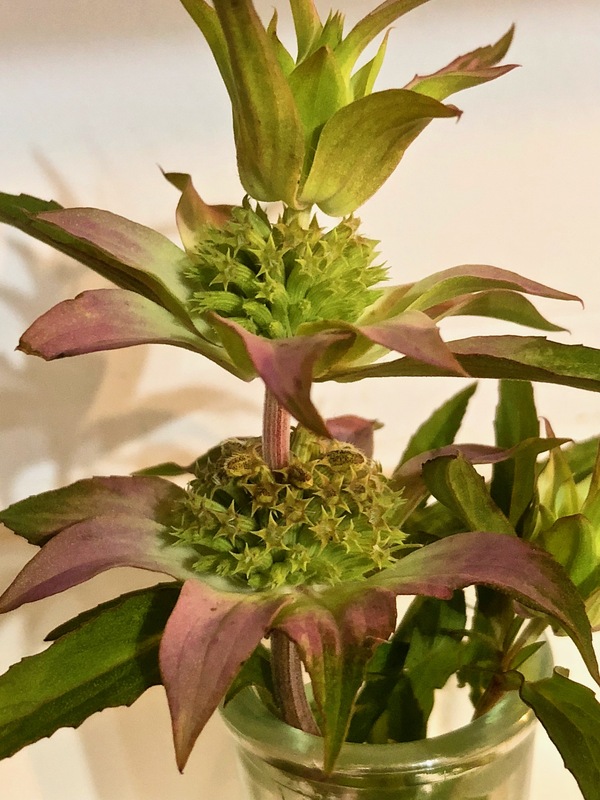 There are several variety of Monarda in Quebec (like the Monarda fistulosa / wild bergamot or the Monarda didyma / Crimson beebalm) but, after comparing plenty of pictures, I am pretty sure that my mystery plant is one of the two varieties (var. punctata or var. 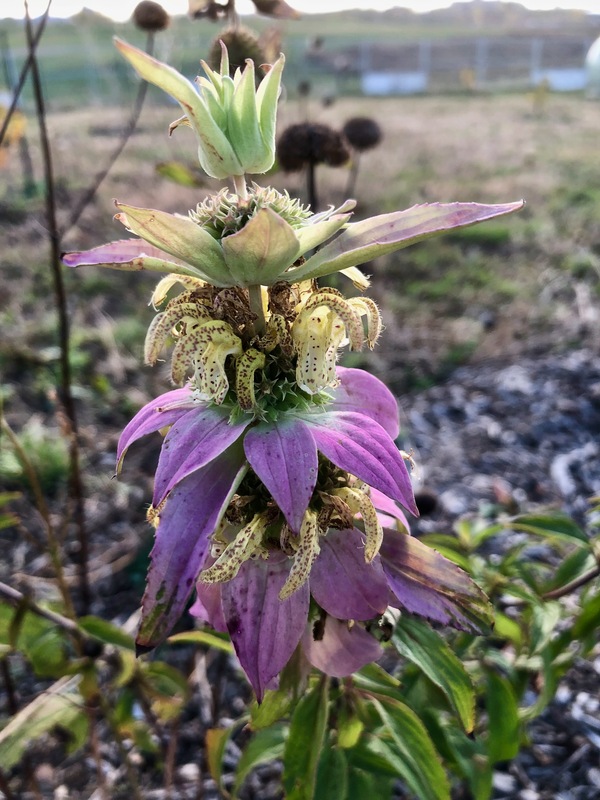 villicaulis) of the Monarda punctata.